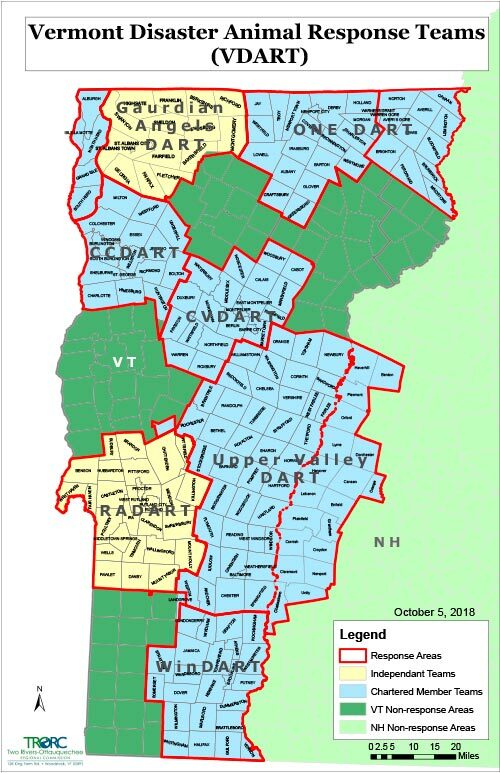 VDART supports a network of chartered regional DART teams throughout Vermont. We also partner with other DART teams that aren’t formally affiliated with us, but share our mission of providing this life-saving resource to local communities state-wide. Work with their local emergency management directors to ensure that animal response plans are intertwined with human response plans before disaster strikes. Organize and help run emergency pet shelters to provide animal care and treatment during the disaster and its recovery period. Spread the word about the importance of household disaster planning for animals by tabling and speaking at local events. Return a completed Volunteer Application Form and Waiver. 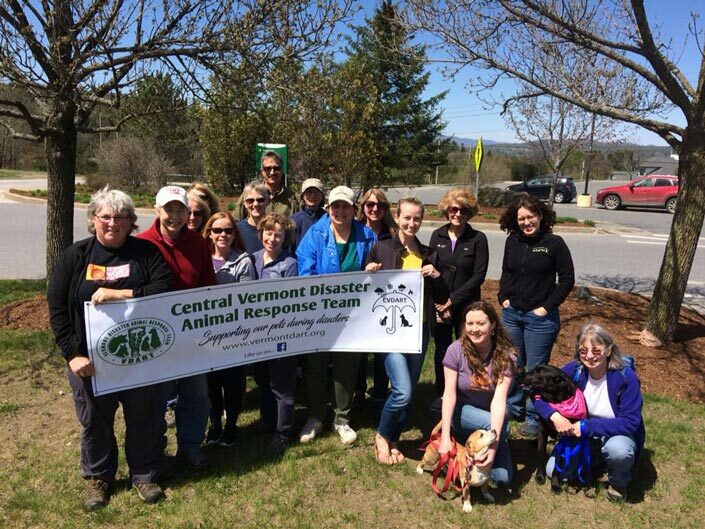 Free, self-paced webinar that introduces volunteers to their state disaster animal response team. Learn more here. Introduces the Incident Command System (ICS) and provides the foundation for higher level ICS training. Describes the history, features and principles, and organizational structure of the Incident Command System. It also explains the relationship between ICS and the National Incident Management System (NIMS). Introduces the National Incident Management System (NIMS), a consistent nationwide template to enable all government, private-sector, and nongovernmental organizations to work together during domestic incidents. Intended to increase awareness and preparedness among animal owners and care providers. Includes sections on typical hazards, how these affect animals and what can be done by responsible owners to reduce the impact of disasters. Also intended to help animal owners, care providers and industries to better understand emergency management. Will heighten awareness of the special issues that emergency managers need to consider when incorporating animal-care annexes into their emergency operations plans. Intended to guide emergency management officials and animal owners, care providers, and industries in preparing community disaster plans. Goal is to provide sufficient information for both groups to meet and develop meaningful and effective plans that improve the care of animals, their owners, and the animal-care industries in disasters. Provides the basic background knowledge needed to develop a coordinated response to a disaster in which animals and their owners are affected. 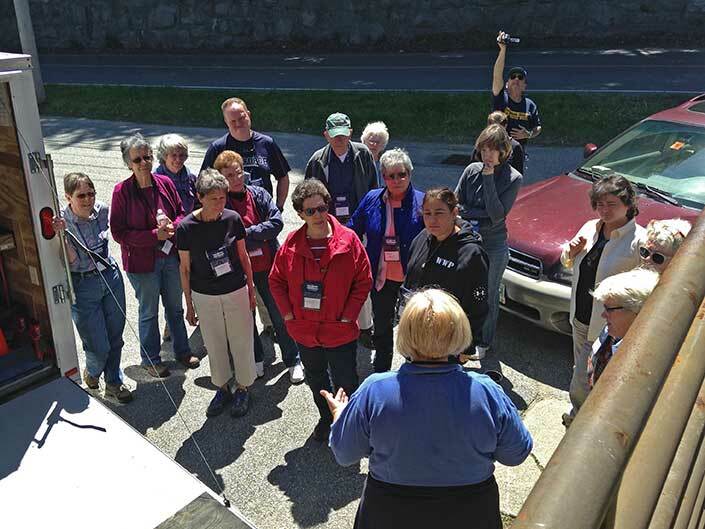 Further training with local or State emergency management programs is essential. For farmers, extension agents, emergency managers and others who have interests in the livestock industry. Describes the various hazards that large animals can face and how to mitigate them, as well as how to respond to an actual disaster. The livestock industry is a multi-billion dollar business that provides food for the American people as well as those overseas. It is important to insure our livestock are safe from hazards and will not suffer from the effects of hazards. This course can be downloaded from the Independent Study Web site and the test can be completed and submitted online.